Khazrati Imam (Hast-Imam) Architectural Complex, an educational and religious institution in Tashkent. Satellite view is showing Tashkent, largest city in Central Asia and the national capital of Uzbekistan. The city is located in the northeastern part of Uzbekistan, in the Chirchiq River valley west of the Chatkal Mountains. Senate building on the Independence Square in Tashkent. The city was destroyed by Genghis Khan in 1219, it was later rebuilt and profited from its location at the Silk Road. In 1865 Tashkent was conquered by the Russian Empire and the country became later part of the Soviet Union. On 31 August 1991 with the dissolution of the Soviet Union, Uzbekistan declared independence. But, the nation is still considered as an authoritarian state with limited civil rights. 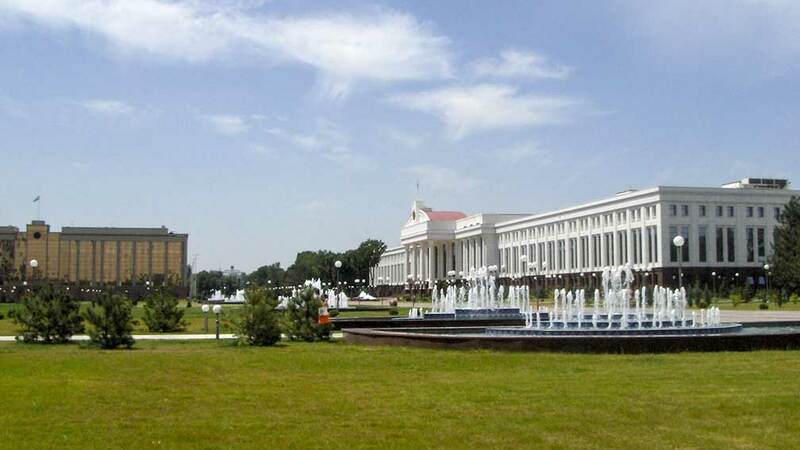 Today Tashkent has a multi-ethnic population of about 2 million people. It is the most cosmopolitan city in the country. Official language is Uzbek. Second-largest city in Uzbekistan is Samarkand. The map shows a city map of Tashkent with expressways, main roads and streets, zoom out to find the location of Tashkent International Airport (IATA code: TAS), 7.5 km (4.5 mi) by road east of the city.